Let your secretary know how much you appreciate him/her with our secretary gift collection. Each of the products in this category can be custom engraved with the message of your choice to let your secretary know how much you appreciate his/her assistance and devotion to you. A personalized secretary gift is a great way to show your appreciation. FREE Shipping on orders over $100. FREE Engraving. 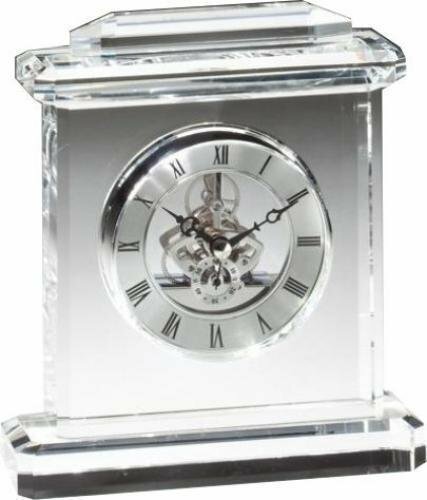 5" x 6.5" x 2"
This crystal clock is a elegant choice for a crystal award or personalized gift. It is an excellent way to recognize the achievements and accomplishments of special people and outstanding business partners. 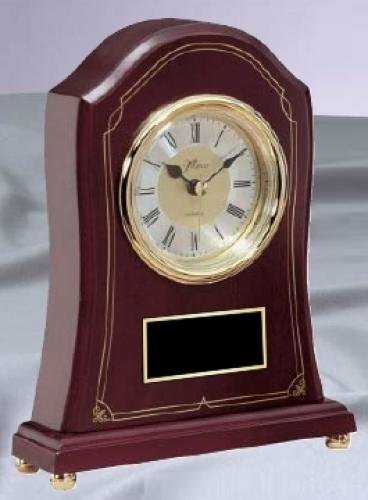 It comes with a diamond engraved silver aluminum plate mounted below the face of the clock. 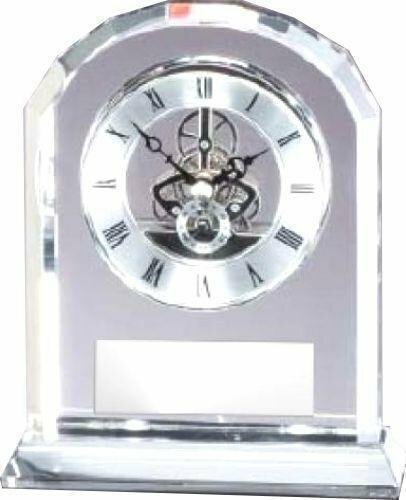 This Dome Clock Crystal Award is a elegant choice for a crystal award or personalized gift. It is an excellent way to recognize the achievements and accomplishments of special people and outstanding business partners. Includes a diamond engraved silver aluminum plate. 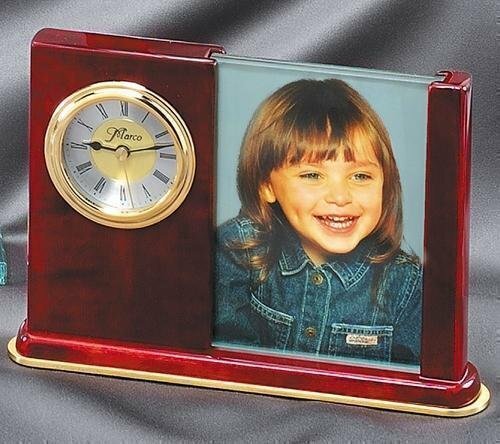 The rosewood clock picture frame is an elegant way to commemorate a special occasion. It holds a 3"" x 5"" picture. A laser engraved black brass plate is included. Clocks are individually gift boxed. 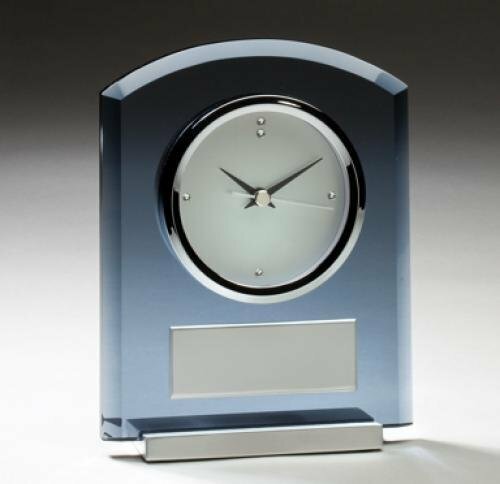 7.75" x 1.5" x 5.25"
This Smoked Glass Desk Clock has brushed aluminum accents and is an elegant choice for an award or personalized gift. It is a functional awards that can be used to recognize the achievements and accomplishments of special people. It is personalized with a diamond engraved brushed aluminum plate. Clocks are individually gift boxed. 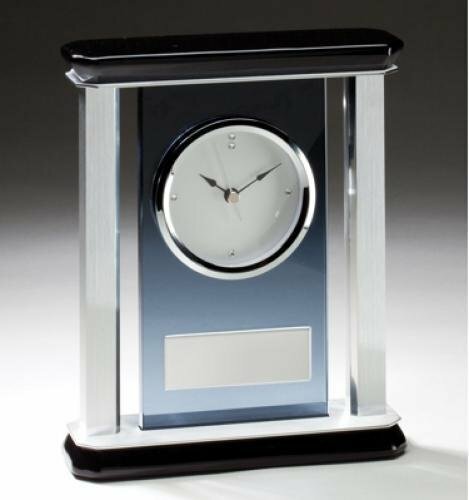 This Smoked Glass Mantle Clock has a black glass top and base with brushed aluminum accents. 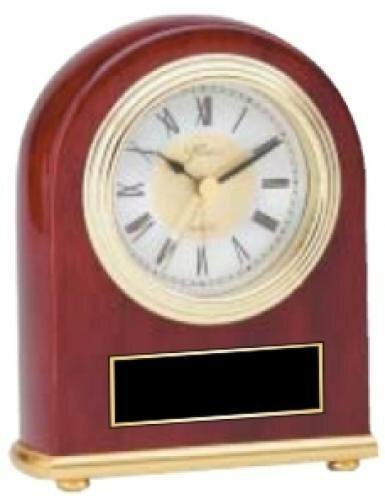 This clock award is an elegant choice for a corporate award or personalized gift. 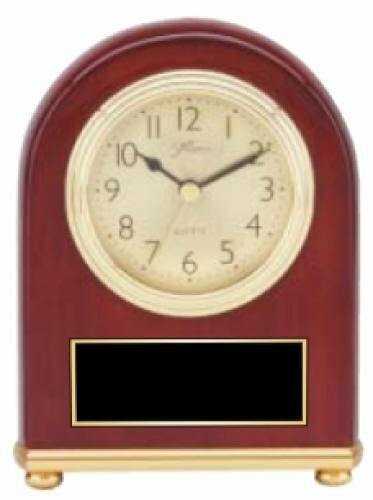 The clock is a functional award that can be used to recognize the achievements and accomplishments of special people. It is personalized with a diamond engraved brushed aluminum plate. Clocks are individually gift boxed. 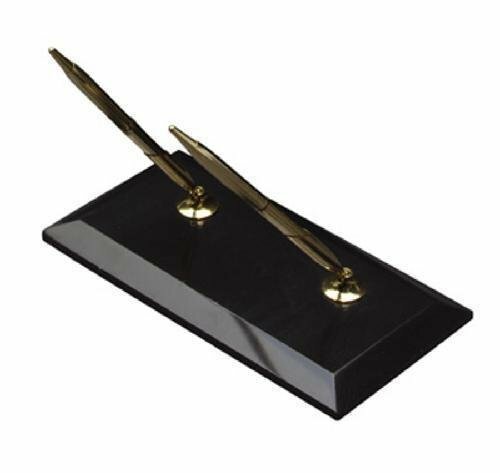 This double pen set is mounted on a beveled black marble base. Use this beautiful desk accessory as a personalized gift or award of appreciation or accomplishment. The marble is naturally occuring rock and will have small amounts of white marbleing. A laser engraved black brass plate with a gold border is included. Size: 8 x 3/4 x 4 Eng Area: 4" x 1 ? This double pen set is mounted on a beveled swirl amber onyx base. Use this beautiful desk accessory as a personalized gift or award of appreciation or accomplishment. The marble is naturally occuring rock and will have small amounts of white marbleing. The marble is laser engraved and color filled.